I guess technically the title of the post should read, "Around Lori's Daughter's Table", but that's a bit awkward to say. This beautiful set was made by Lori-Lynn Slack of Alberta as a gift for her daughter. I had a chuckle when Lori told me she stood on a step-ladder to take the picture, as I have done the same thing myself. Great minds think alike, Lori! The deep, rich colours will look spectacular on the table. If you would like to make your own version of Around The Table, the pattern is available on my website. Please leave your comments below; thanks for sharing your beautiful work, Lori! we now see wind farming too. It's been fascinating to watch these giant structures being hoisted into place by Sprott Power, melding an old tradition with a new technology. It gives a progressive look to our windy marsh. Polly and I decided to try out the Brooklyn Revolver on an actual project. We decided on a small mug mat, in icy colours to match our winter weather. I drew out a really simple compass in EQ7 and gave it a colourful border. It measures 8" around. Small amounts of 7 colours in gradations from light to dark. I used the following colours in these sections of the foundations: white (A2, B2), silver (A3,C6), grey/blue (C5,B1), light blue (C4), medium blue (C3,A1), dark blue print (C2, B Centre Circle), and dark blue solid (B3, C1). Here are my fabrics laid out with a full-sized sketch of the mug mat. The white has iridescent snowflakes in the fabric which shine as the light hits. The block is easy to foundation piece; you just follow the numbered sequence on the foundations. In the interest of brevity I have decided not to show all the foundation-piecing steps but if you need help with this part, I'd be pleased to supply it. There are 3 foundations supplied. You piece A, B and C separately. The A and B star sections are joined together first (which forms the wide point on the star) and then those foundation papers are removed. The previously-pieced outer band C also has the foundation paper removed and then it is added to the top of the star. It's a very gradual curve and not a bit scary to sew, but it is much, much easier to do if the papers are removed first. Otherwise it's difficult to get a smooth seam. You make 4 blocks and join them in pairs as shown below. The pairs are then joined together across the centre seam to form the star. 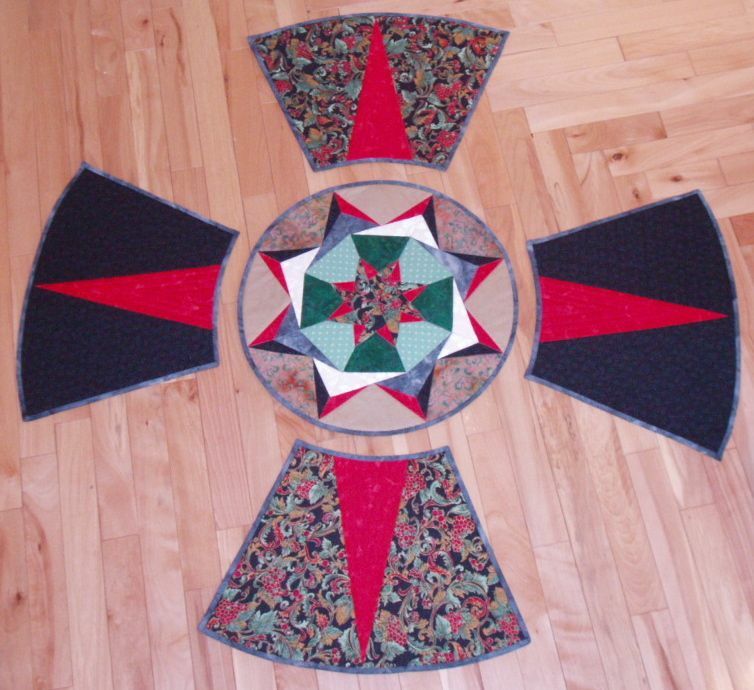 The centre circle is appliquéd. To do this, cut the circle from cardstock and trace around it on the back of the fabric. With scissors, cut approximately 1/4" outside the traced line. Sew a line of hand stitches around the outside edge and place the cardstock template in the centre. Pull up the stitches, give a spritz of starch and iron the circle before removing the template. 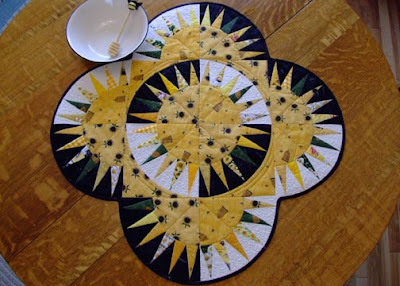 Pin the circle on top of the star and blind-stitch with matching thread. I used very fine Invisifil so the thread would not show. Layer the pieced top on the batting and backing and pin baste to hold it secure. I machine quilted pebbles in the white background, continuous loops around the outer sections and outlined the star points and centre. I also did a little feathered wreath in the centre, which you can see here from the back. Trim the outside edges even with the patchwork. It came out looking very much like my original sketch! As the piece is round, it requires bias binding. I cut my strips 2" wide on a 45 degree angle. I had to join 2 strips to get the required 30" length. And yes, that is a very narrow binding once it is folded in half, but it it proportional to the size of the mat. It's just the perfect size to hold my two favourite mugs. The Brooklyn Revolver works great and Polly is happy to be back at the sewing machine. This has been an exciting week with all kinds of good things happening. 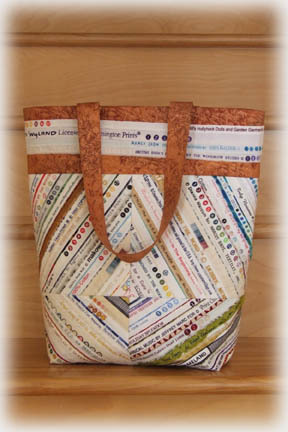 The big news is that Log Canada will be part of the Carrefour Europeen du Patchwork exhibit in Alsace, France! Sandra Reford will curate a show of textile art and quilts entitled Tradition In Transition that represents quilting in Canada. The show will be September 13 to 16, 2012, in the Alsace area near Strasbourg. C'est Magnifique! As my hubby would so eloquently opine, "this is one slick rig." Imagine a cutting mat that rotates in a perfect circle so you don't have to stand on your head, run around the table, or move your fabric to make trims. I had heard about The Brooklyn Revolver many years back, but didn't realize it was no longer available. It was reintroduced at Quilt Market this fall and it's a gem. I watched this video on You Tube before I got it. ...and then rotate the cutting mat to make the final cut. I didn't need to disturb my fabric, or try to cut backwards which I previously would have done. These now less-than-nimble fingers aren't as cooperative as they once were so this will make rotary cutting easier for me. The Brooklyn Revolver will be great to take to class for demos, or to have beside the machine for trimming blocks. I just wish my whole cutting table would turn like this! 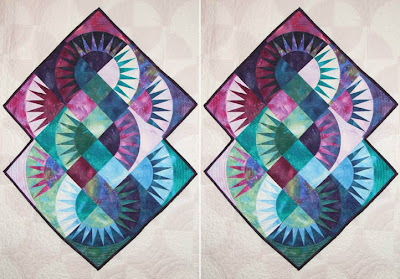 Kathleen Bissett's excellent and concise article: How Copyright Affects The Quilter. Continued thanks for all the comments and emails. 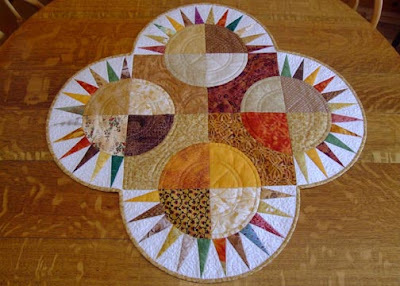 Maria from Quilts For Sale has kindly suggested I add a button to allow folks to easily subscribe to this blog via email. If you are interested in receiving updates this way, you can find the button in the left side bar of this blog marked Follow By Email. Simply type in your email address. Thank you Maria for noticing that I did not offer that service. We’ve all chuckled over the quote, “my only purpose in life is to serve as a bad example to others” Well, some wonderful folks on this earth also serve as good examples. This post will be a “catch them doing something right” and showcase the correct way to assign design credit. We’ll start with some bloggers. 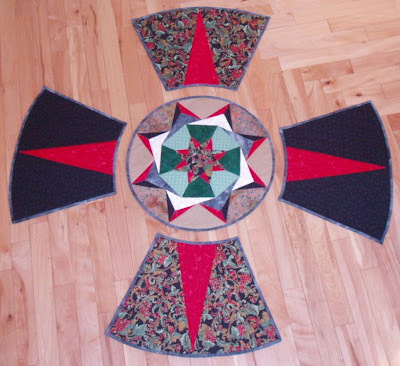 Here’s a link to a post on Ouvrages d'une Acadienne blog, where author Joan properly displays and credits a quilt made from one of my patterns. 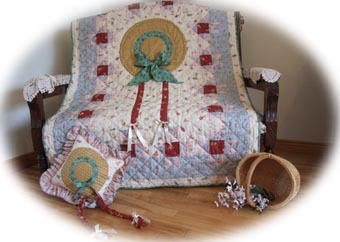 Note that she has listed the designer name, the original name of the quilt, and provided a link back to my site. Well done, Joan J On this post Scrapmaster Linda shows a picture of a Maritime Beauty she made, along with the name of the quilt, the designer, and contact info. Thank you, Linda; it’s always a pleasure to see your beautiful work. Way over on the other side of the world in Australia, this recent Christmas post includes credit and contact information on the book in which this small apron was patterned. 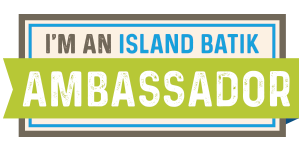 Jennifer from Bronze Wombat did all the leg work for you, and linked the exact page pertaining to the book on my site, not just the general website address. (Perhaps it is no coincidence that Jennifer ends her posts each time with a quote from a book on etiquette! She has good manners.) There are lots more examples I could share, but in the interest of brevity we’ll leave it there. Thank you to all the bloggers who respectfully and creatively present material for our enjoyment. 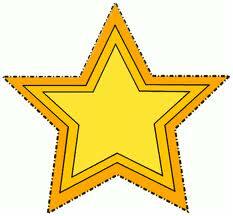 Here is a gold star for you! Maria and Bev both get a gold Feathered Star for showing us how professionals assign credit correctly. One last example is of a pattern appearing in publication with credit to another for “design inspiration.” This isn't to blow my own horn, but I have my own permission to share this. Frost Bite appeared in an issue of Quilter’s Newsletter. 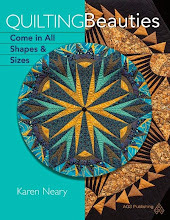 It was shortly after Karen Stone had set the quilt world on end with her spectacular New York Beauty quilt featuring a wild, undulating border of spikes. You can see that even though my border is vastly different than Karen’s, hers did inspire my uniform icicles and she was contacted for permission to print the design for the border in the magazine, which she granted. Her name was credited in Quilter’s Newsletter as designer of the border, mine as designer of the quilt... and we were both very happy with the arrangement. It always seems to me that quilt magazines are the least understood and most abused form of pattern publication. Folks seem to feel when they buy one, they own what's in it and can copy at will without hurting anyone. After all, the magazine gets tossed out at the end of the month and a new issue replaces it, right? Wrong. I've often wondered if it's because a magazine is a collection of projects from various designers compiled by a big anonymous publishing house...and thus distanced a bit from the individual creator...that sparks this attitude. I've even heard people say that anything published in a magazine is free for using as it puts it out in the public domain. As Judge Judy emphatically declares, "riDICulous!". Publishing a piece does not put it into the public domain; it is still governed by copyright. And even though that magazine may be viewed as disposable, the copyrighted material within it is not. The rules for copying what you find in a magazine are no different really than when you purchase an individual pattern, and are clearly spelled out in the front of each issue. Here's the notice found in the front of Quiltmaker magazine: Copyright ©2011 by Creative Crafts Group. 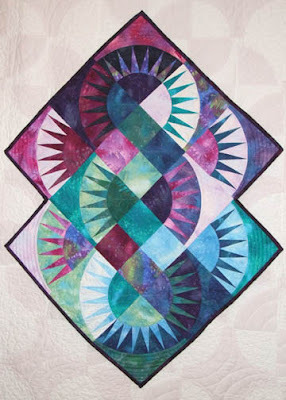 Reproduction in whole or in part in any language without written permission from Quiltmaker is prohibited. 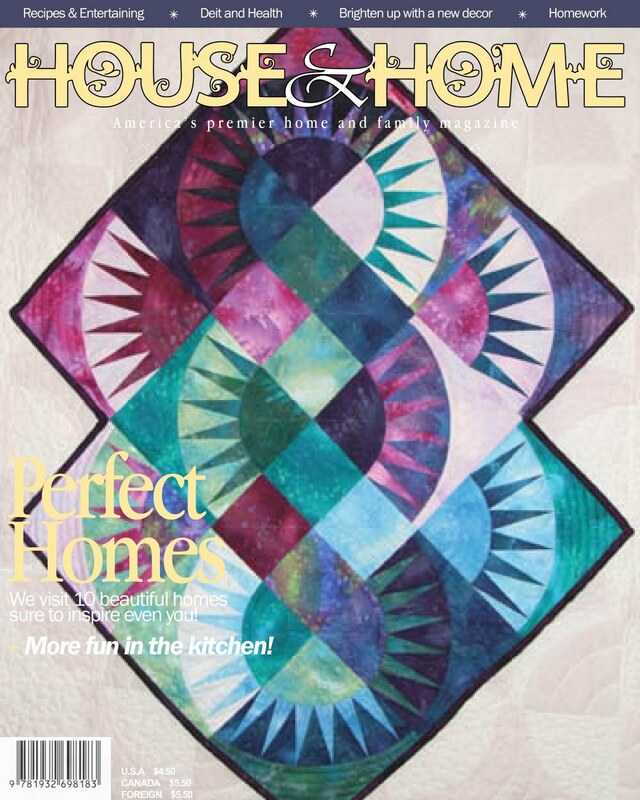 No one may copy, reprint or distribute any of the patterns or material in this magazine for commercial use without written permission of Quiltmaker. Templates and patterns may be photocopied as necessary to make quilts for personal use only. Quilts made from any element of a Quiltmaker pattern may be publicly displayed at quilt shows or donated to charity with credit given appropriately in the following form: "Pattern Name, designed by Designer Name. Pattern appears in Quiltermaker month/year. quiltermaker.com" Sounds clear to me. Notice that provision is made to preserve the moral link (discussed 2 blogposts back) between the creator and the work. It's a pretty quilt, unusual in that it is sewn using all solid fabrics. I decided to submit the design to a magazine, and Quilt World purchased First Rights of Publication (First Rights, because I had not yet published the pattern). They featured the quilt on the cover of their July 2000 issue. About a year after this, I decided to offer the pattern for sale myself, and had it printed and packaged for sale. It is available in stores and on my website. In 2003, Leisure Arts contacted me to ask if they could include Starry Night in a book they were doing, entitled Through The Year Quilts. They wanted to purchase All Rights, but I didn't want to do that, so we agreed on One Time Rights Of Publication. This meant I could continue to sell the pattern on my own, and if their book went into a second printing, we would need to sign another contract for One Time Rights. 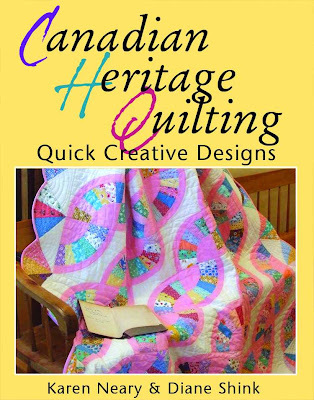 I am glad I did this, as they featured the quilt on the book cover. Here's another example of how things work. House of White Birches published Scrap Quilting Made Easy and included 3 of my designs in this hardcover book. (Two of them are pictured on the back cover) I sold ALL RIGHTS to these designs. Several years later, they decided to do a "best of" soft cover version (shown on the right) which included all three of my patterns. Because they owned ALL RIGHTS they didn't need my permission to do this, but they were kind enough to offer a royalty payment for use of the material. A royalty is a payment made by one party (the "licensee") to another (the "licensor") for the right to ongoing use of an asset. They determined that using the designs a second time constituted ongoing use. We mostly hear about royalty payments made to actors for TV shows which go into reruns, and it's the same idea - ongoing use. In addition to selling off various aspects of a copyright, one can also sell a license to use a design. The Disney characters you see printed on fabric are an example of a license. Disney has not sold the copyrights to the character to the fabric company, they have awarded them a licence which permits the characters to be used without penalty. On the other side of the table, I had to purchase a licence to pattern my Anticipation quilt. The Anne Of Green Gables Licensing Authority keeps tight control (rightly!) over the usage of Anne and one needs approval and a licence. There is a cost involved in all of this; I paid a flat fee upfront for the license and am required to submit royalty payments on the sale of each pattern (an ongoing activity). This is why the pattern retails higher than the others...and why that fabric with Disney characters costs more. The licence fee is reflected in the price. Book publishers do not always obtain control of Rights; sometimes they seek permission to print the material on your behalf without purchasing the copyright. Diane Shink and I continue to hold the copyright to the material in our book Canadian Heritage Quilting. Like most book authors, we receive royalty payments from the publisher. This third (of what may well turn out to be 400!) posts on copyright will be on derivative designs. Derivative, by definition, means something that is based on (i.e. derived from) another source. In the case of copyright, it refers to a design which is inspired by, resembles, or emulates an original copyrighted piece. Studying piano in my younger years, I often encountered “theme and variation”. The main musical motif (tune) is laid down in the first few bars followed by numerous ways to vary that theme – changing the rhythm, the harmony, the key, etc. It is a popular technique employed by major composers such as Bach, Handel and Haydn. Note that I am not suggesting the composers copied and varied each other`s work - each did his own. Those who began sewing with Simplicity or McCalls clothing patterns will remember that often there were several options given from which you could choose. View A, View B, View C might present different sleeves or necklines but still use the same main pattern pieces. The variations are derived from the original and because of that, these derivatives are covered under the same copyright that protects the original design. Quilters do the same thing. Often a pattern will have a couple of choices of how your finished piece may look, perhaps as a bed quilt or a wallhanging or with different borders. Let’s use my Maritime Beauty pattern as an example of derivative designs. Here is the original Maritime Beauty – the first version which I made, and copyrighted. 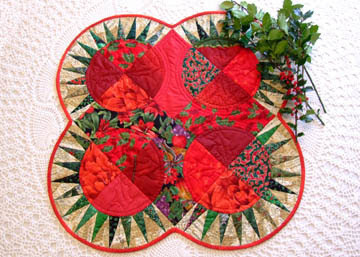 Christmas came, and I sewed it in my favourite red and green fabrics. 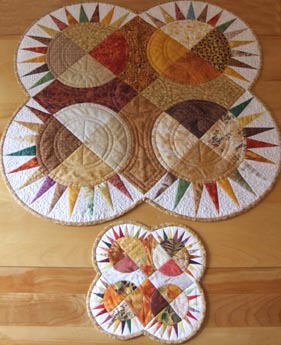 Although it gives a different look, changing the colour does not change the quilt in any significant way. Then it was my niece Christina's birthday and I wanted to make her something splashy for her table. She has bee dishes. I changed the centre and alternated the colours from black to white under the spikes to give it a dramatic effect...but it's still my Maritime Beauty. As the copyright holder of Maritime Beauty, I have the exclusive right to create derivative copies of my design. Making minor changes does not qualify the work as new under copyright law. 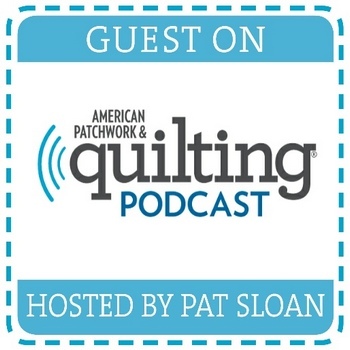 Here`s another example from my own experience, and I will be referring back to this quilt in a subsequent post on licensing. Because Anne of Green Gables is a copyrighted entity, anything which uses the Anne name or an image which evokes Anne requires special permission from the Anne of Green Gables Licensing Authority (AGGLA)- which I secured when I designed this quilt. Had I not done that, I would be infringing on the copyright held by the heirs of Lucy Maud Montgomery. I entitled my quilt Anticipation. 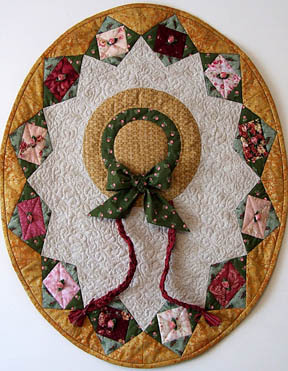 It features the signature straw hat and red braids we have come to associate with Anne. Shortly after I made this quilt, there was a call to entry by the Kindred Spaces Textile Show in Charlottetown looking for quilts to celebrate the 100th anniversary of Anne. 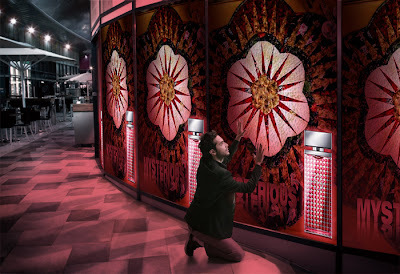 I decided to enter the show, but my Anticipation quilt was too large. I took the main elements used in my original quilt - namely the hat and braids - and incorporated them into a wallhanging which was meant to resemble a portrait of Anne in a gilt frame. This derivative quilt was chosen to tour Japan the following year. As I held the copyright on the original design, I was fully within my rights to do this. So...does this mean that no one can ever improve upon a design that's already out there? Nope. But you need to obtain permission to do so. Look back to this post; I was asked and gave permission for my New York Roundabout design to be translated into a hooked rug. It's beautiful, and I can't wait to see it finished. I am delighted that Kate shared her work and had the good manners - and even better sense! - to ask. A copyright holder can grant permission (usually as a license or assignment) for you to use their original idea in your work. If you do not get permission, you are infringing on the author's copyright. It gets tricky deciding what's a derivative and what's a brand new design. I've often heard it said that something must be 10% new to qualify as copyrightable...but in the stacks of articles I've read in the past few weeks, I have not come across anything that says that at all. I expect that's unsubstantiated rumour, so don't trust that thinking. 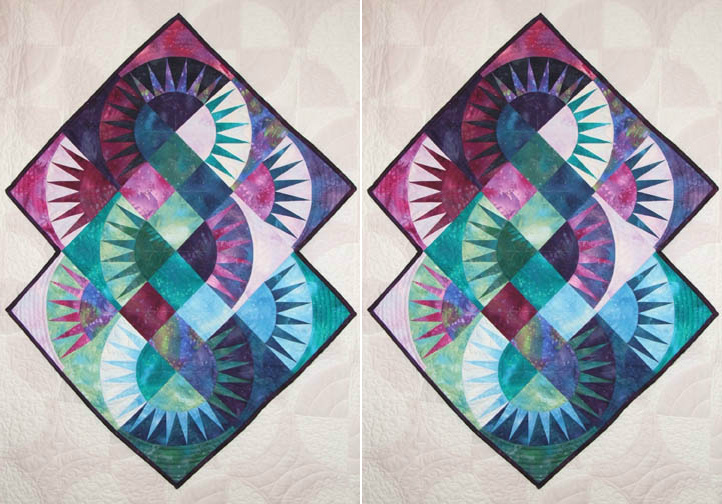 Often guilds making raffle quilts as fundraisers will take part of a quilt design that they've seen in a magazine and change the border, claiming it's their own design and not needing to be credited. This is untrue. That constitutes a minor change and credit for the original designer's work must be given. Frankly, I never understand why that's an issue; is it so hard to say "inspired by..."? Inspiration is wonderful - it bespeaks creativity and thinking outside the box - so embrace it, and run with it...just as soon as you are given the ok to do so. 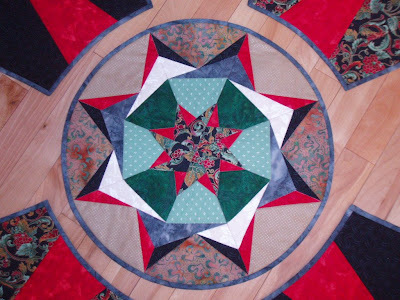 In my mind, stating the source of your inspiration shows good manners if nothing else and certainly creates goodwill within the quilt community. Giving credit where it is due is a good thing. In order for your derivative work to receive its own copyright, it must be different enough from the original to qualify as a new piece of work. Simply making minor changes to an original, copyrighted work does not constitute a new derivative work under copyright law. In February, I discovered a quilter in Australia had made my Oriental Beauty in a different colourway and changed the name to "It's Not Christmas". She claimed design credit for the piece, sold the patterns, and taught it at workshops around her country. If you look back to the examples of Maritime Beauty above, you will see that changing the colour does not change the piece. As for changing the name, this is also an area of concern for designers and something quilters need to be aware of. Many designers will write in their terms that the name of the quilt cannot be changed - it has to stay as published. Why is that? It goes back to the Moral Rights discussed in yesterday's post. Moral rights allow the author to take certain actions to preserve the personal link between himself and the work. I encounter this issue often when someone makes one of my patterns and renames it to give personal significance; let's say they made Farrago and renamed it Aunt Jane's Biscuits. They (correctly) post a link to my site but when the person arrives looking for the pattern for Aunt Jane's Biscuits they don't find it because I have no quilt named that. 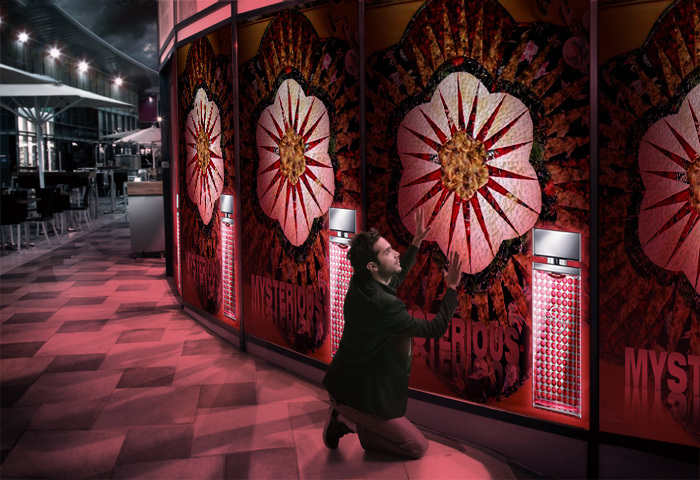 Renaming a quilt does not allow the designer to preserve the personal link between him/herself and the design. More and more I am seeing designers add a note to their copyright rules insisting that the name be kept intact. For myself, I would be fine if the quilt made from the pattern was give a by line such as..."Farrago: Aunt Jane's Biscuits." I think that would satisfy both the need for the link and yet allow the maker to add a personal and meaningful stamp to the quilt. For the variation of my New York Roundabout quilt which I found on the website of Fabric Stash in Mass. before Christmas, the maker had changed the block slightly using 5 spikes instead of 6. She told me on the phone that was how she was making it her own design (nah ah - you were making a derivative design, Lois...) She also confessed that she had photocopied the New York Beauty block she used from a book and was distributing that photocopy with her pattern. Eeek...double no-no. That's where tomorrow's post will start: using what is published in books and magazines. This was a very long read; if you've made it this far you've done great, and I thank you. Each of these posts takes more than a day to write so sadly there is no quilting happening here. Polly isn't very happy about this.